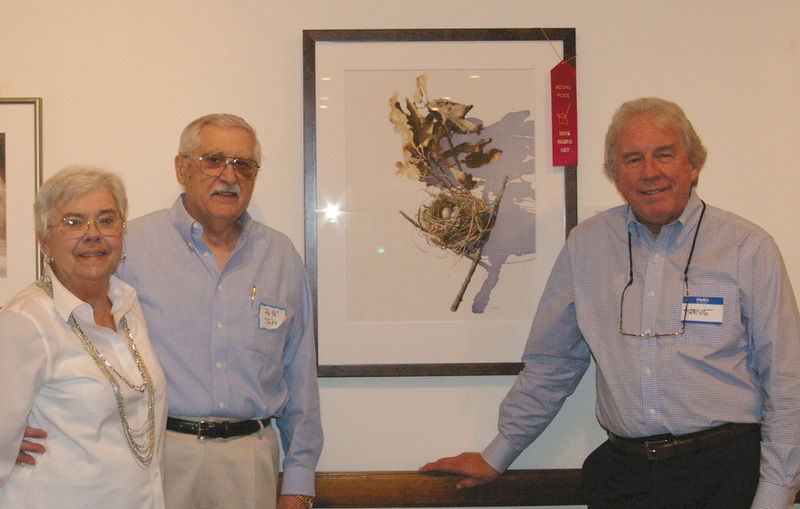 Steve with George "Papa" Tutt, Executive Director of The Missouri Watercolor Society and his wife Jo at the recent Missouri Invitational awards ceremony. 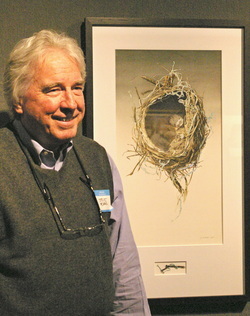 Steve's painting 'Nest in Situ' took second place honors. 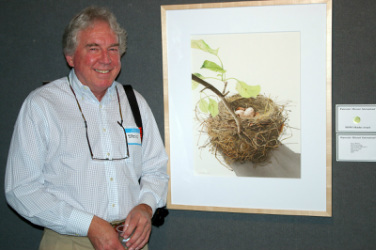 Steve's recent painting 'Abandoned Nest' received the Missouri Artist Award at the 2014 Watercolor Missouri International exhibition held at the National Churchill Museum and Library. Steve's painting 'Proud Father' was one of 121 paintings selected out of 1700 entries to be included in Splash 16: Exploring Texture, published by North Light Books. The original painting is in the Liz Koch Foundation Collection in Wichita, Kansas. 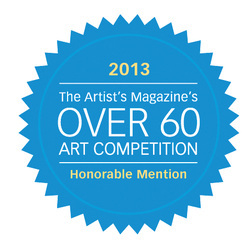 finalist in the Artist's Magazine Over 60 Art Competition. Finalists names will be published in the March 2014 issue. This painting recently received The Patron Purchase Award at the Kansas Watercolor Society National Exhibition and was acquired by the Liz Koch Foundation in Wichita, Kansas. Steve was chosen to be on the cover of Watercolor Studio, The Magazine of the Missouri Watercolor Society, Fall 2013 Issue. 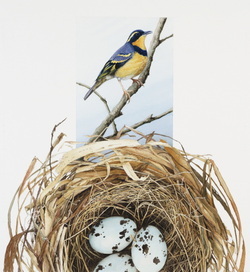 The issue also includes an article describing the approach and techniques Steve used on his latest series of bird nest paintings. You can read the article by clicking HERE. 'Proud Father' & 'Speck-tacular Nest' were both juried into the Kansas Watercolor Society National Exhibition 2013 which is held at the Wichita Center for the Arts. The Missouri Watercolor Society National Members' Invitational 2013 was held at the Boone County Historical Society Gallery and Steve received the M.Graham Award for the painting 'Proud Father' seen here. O A Gallery in Kirkwood, Missouri welcomed Steve as co-owner and permanent exhibitor. The gallery offers representational works of regionally and nationally recognized artists. Watercolor Missouri International 2013. The exhibit was held at the National Churchill Museum and Library.